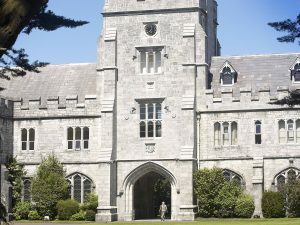 University College Cork is one of Ireland’s most prestigious National Universities and was established as one of the three Queen’s Irish colleges back in 1845. The University was named “Irish University of the Year” by the Sunday Times on 4 occasions including 2015/2016. Approximately 16,500 undergraduate and postgraduate students attend UCC. While at UCC make sure to pay a visit to the renowned Lewis Glucksman Gallery, named in honour of Dr Lewis Glucksman, which is an educational and cultural institution to promote the research, exploration and creation of visual arts. While at the gallery visitors may enjoy an abundance of beautiful exhibitions and displays, have a light bite in Fresco Restaurant and browse the gallery shop.